With more than 15 years of experience as a Resilience Coach and Counsellor, and even more as a corporate executive in responsible roles makes Rita Haque a veteran and skilled at supporting people to realise their potential , live a full life and contribute their best professionally and personally. Rita guides you to the heart of the problem and encourages your ability to address it. Understanding the human psyche brings depth, not just to her counselling and coaching sessions, but to all the work she does with organisations. She ran counselling sessions at COMO Shambhala Urban Escape and Caregiver Alliance. These sessions included top, middle managers, and frontline staff . Rita is a caregiver to one of her sons and understands the stress and challenges that growing numbers of caregivers in organisations face. Her immersion and work in diverse fields from Communications to Human potential and Leadership development, Learning and Development and Mental Wellness, arms her with multi-dimensional skills and tools that she applies to counselling and coaching on diverse topics from motivation, culture change and corporate alignment to mental, physical and emotional wellness . 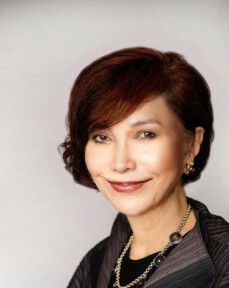 Rita’s career spans from Singapore to Australia, United Kingdom and Hong Kong where she held vital creative and management roles in leading international organisations. Some of her 30+ clients past and present are top global and local brands from following Industries: Airlines, Automobile, Banks, Logistics, Education, Government, Hospitality, Manufacturing, Oil & Gas, Property, Technology and Tourism.